Name this folder BFV_1. This will be the name (Label) of our DVD. 2) Copy all the contents, EXCEPT the ‘Support’ folder, from CD1 to this folder. 4) From CD3 copy the folders, AceGain, BattlecraftVietnam, BFVCommandAndControl, MDT, PunkBuster, and Support to the same Temp folder. Also from CD3 copy the Data4.cab file to the Temp folder. 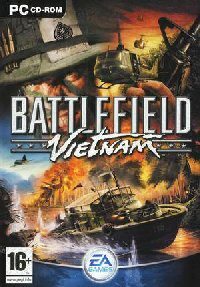 5) OPTIONAL: From CD4 copy the ‘Battlefield Vietnam Manual.pdf’ to the same Temp folder.